In recent years there has been a shortage of measles vaccines in Ukraine. Vaccination rates had dropped to 31% in 2016 and were the lowest in Europe. And yet there were hardly any cases of measles. In 2017 sufficient vaccines became available for a ‘catch-up campaign’ and 90% of the children in Ukraine received the MMR. Since then there has been an explosion of cases of measles. The number has already surpassed 12,000! Why is the media ignoring the current outbreak of measles in Ukraine? And what is really going on? Why no figures for 2017? ‘Over 12 000 people have been infected with measles in Ukraine so far this year. Of those affected, 9158 have required hospitalization and 9 have died, according to information provided by national health authorities as of 27 April 2018. Large-scale outbreak response measures have been undertaken since the start of the outbreak in 2017 to curb further spread of the disease and restore high routine immunization coverage. In 2008, 95% of eligible children in Ukraine received their second (and final) recommended dose of measles-mumps-rubella vaccine (MMR) on time according to the national routine schedule. By 2016, this rate had fallen to 31%, the lowest coverage in the WHO European Region and among the lowest in the world. Since July 2017, a national Measles Task Force, including the Ministry of Health, key stakeholders and partners such as WHO and the United Nations Children’s Fund (UNICEF), has been working to vaccinate every eligible child as they reach the appropriate age for MMR vaccination according to the national routine immunization schedule. It could easily be concluded that the decreasing vaccination rate (from 95% in 2008 to 31% in 2016) is the cause of a gigantic measles outbreak in Ukraine. But the WHO is twisting reality in a cunning way. In 2016 – with a vaccination rate of 31% – there were only 90 ‘confirmed cases’, i.e. 90 cases of measles confirmed by a laboratory. There was a low vaccination rate but there was no epidemic either. And this also applied to the three years before 2016. From 2013 to 2016, there were on average only 50 cases per year. It is striking that the red bars (cases lab confirmed as wild measles virus) rise less quickly than the green bars (cases clinically confirmed by docter). Please read what the CDC and the ‘Nederlands Tijdschrift der Geneeskunde’ (‘Dutch Journal of Medicine’) have to say about this later on in this article. Clinical criteria: Any person with fever AND Maculo-papular rash AND at least one of the following three: Cough, Coryza (Cold), Conjunctivitis (red eyes). Is it possible that the 12,000 Ukraine measles cases reported by WHO are exaggerated? The majority of the bar on the extreme right in the 2018 graph above is green and, therefore, those reported measles cases have not been confirmed by a laboratory. And worse, is it possible that these are mainly misdiagnosed clinical cases of vaccine strain measles that occurred after receipt of MMR vaccine? This question is logical because the data shows that in 2016, fewer children were being vaccinated and there were few reported measles cases; in 2017, more children got MMR vaccinations and there were more reported measles cases; in 2018, even more children got vaccinated and even more measles cases were reported, with the majority of cases clinically confirmed by doctors rather than positively lab confirmed. 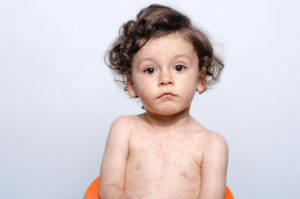 Is it wild type measles or vaccine strain measles? A statement from Dr. Zsusanna Jakab, WHO Regional Director of Europe taken from a press release that also appeared on the WHO website at the beginning of 2018, has been widely quoted by all major newspapers in Europe. But Dr. Zsuzsanna Jakab, who thinks that 20,000 cases across the whole of Europe is a ‘tragedy we cannot accept’, remains silent about 12,000 cases only in the Ukraine. Do the authorities know more than they want the public to know? The number of cases of measles confirmed by the laboratory is relatively small. But ‘Ukraine is restoring immunization coverage in a gigantic effort to stop the outbreak of measles, which affected more than 12,000 people this year’. 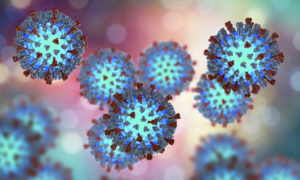 It does not matter whether the campaign completely misses the target and probably causes more measles than it prevents because the reported cases may really be vaccine strain measles, not wild type measles cases. Nevertheless, a new order of vaccines has been placed to ‘combat the epidemic’. The bizarre behavior of politicians and policy makers, the manipulation of figures, the ‘selective’ reporting in the media and the increasing pressure to oblige parents to vaccinate… It is not surprising that all these exaggerated and inconsistent factors have caused people to lose their trust in the system. The situation in the Ukraine only adds to what so many of us know already. Door (Dora) Frankema is mother of two unvaccinated adult children and author of the book ‘Vaccinvrij! – ouders, artsen en wetenschappers over vaccins en vaccinvrij opgroeien’ (‘Vaccinefree! – parents, docters and scientist on vaccines an raising vaccinefree children’). She is initiator of the Foundation Vaccine-Free in the Netherlands.